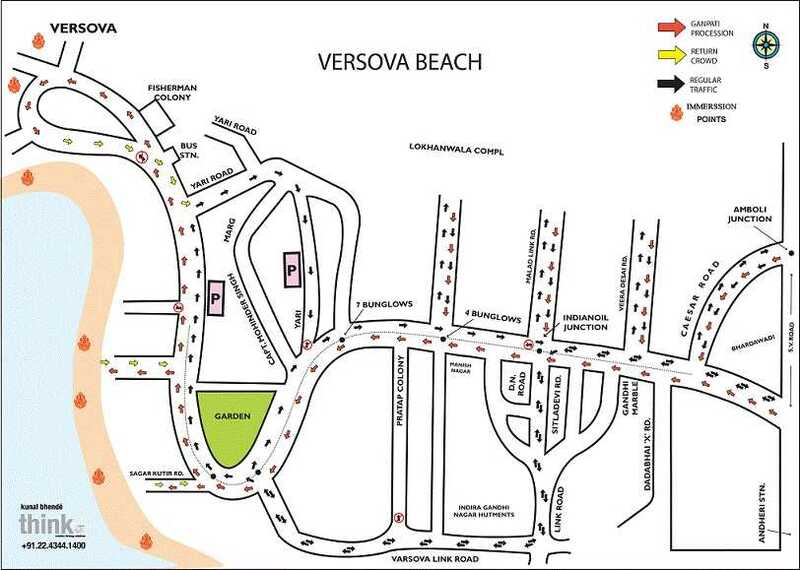 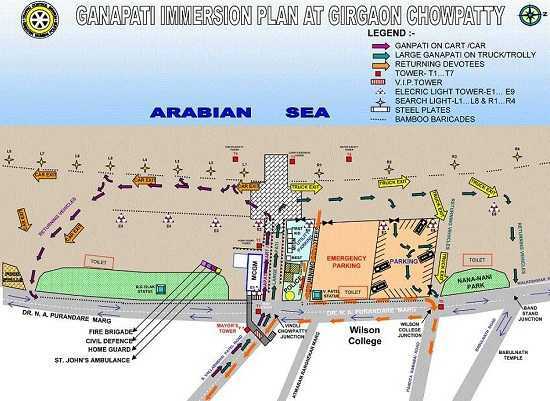 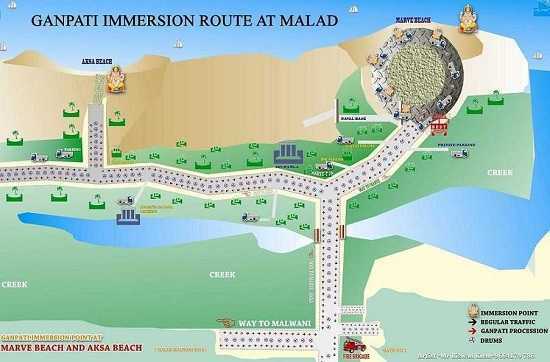 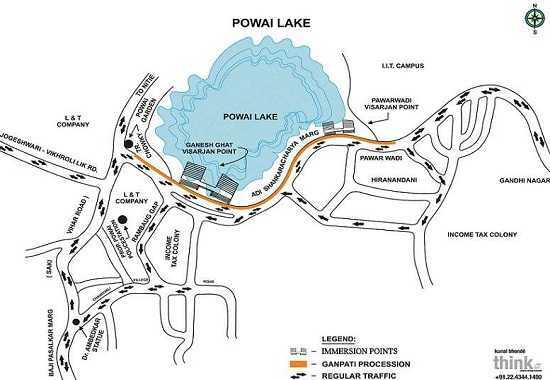 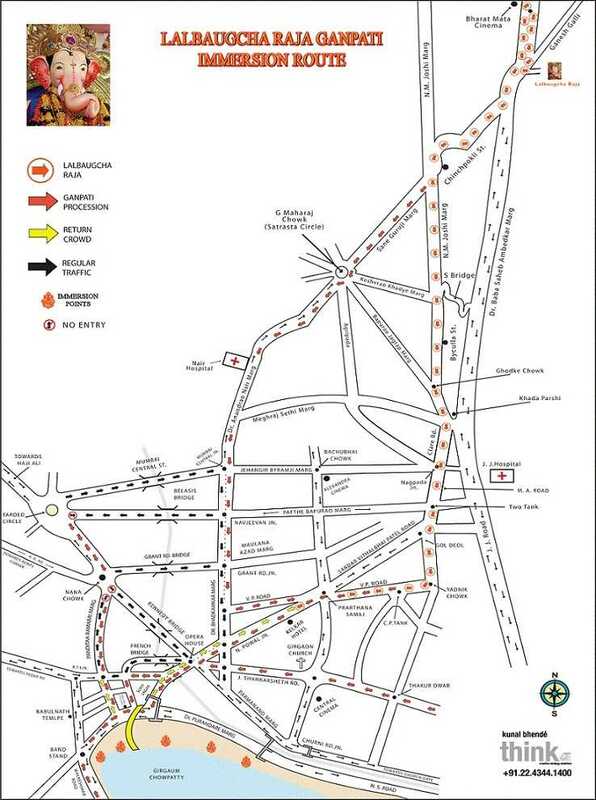 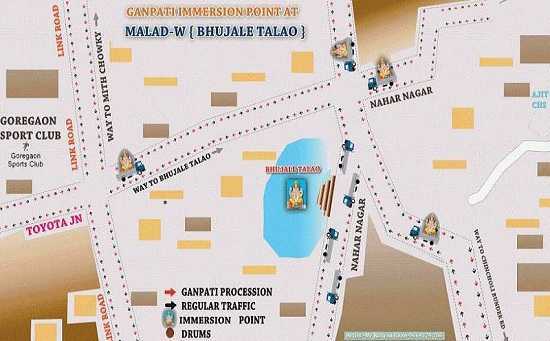 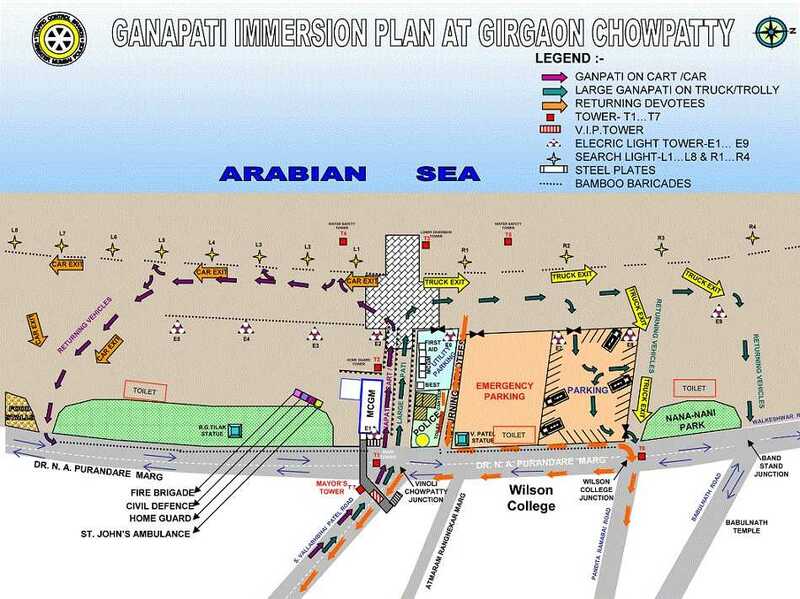 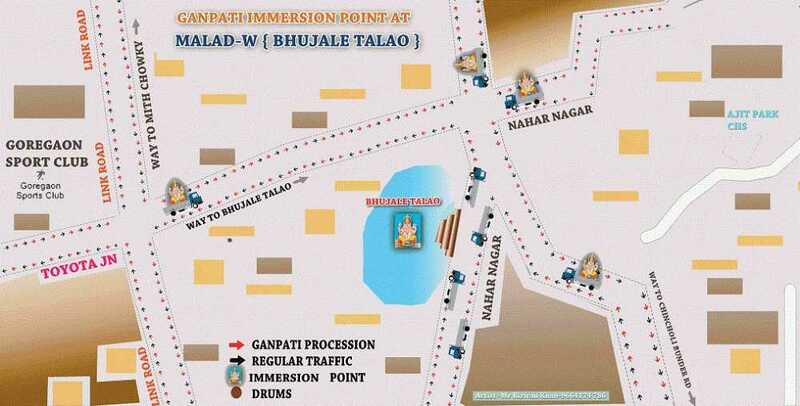 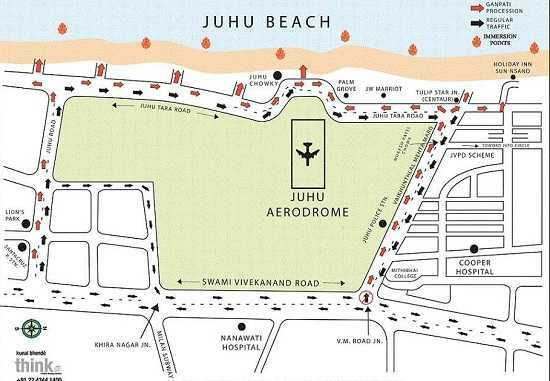 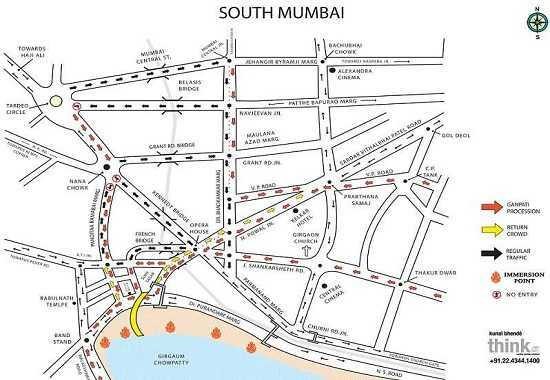 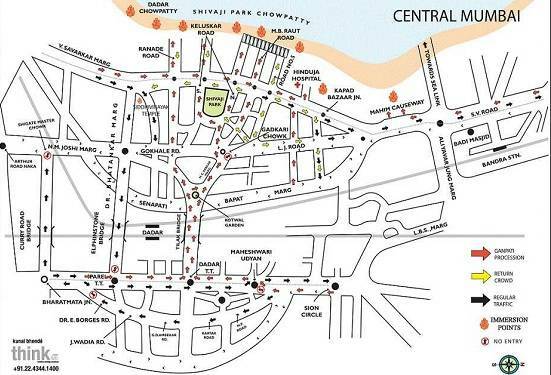 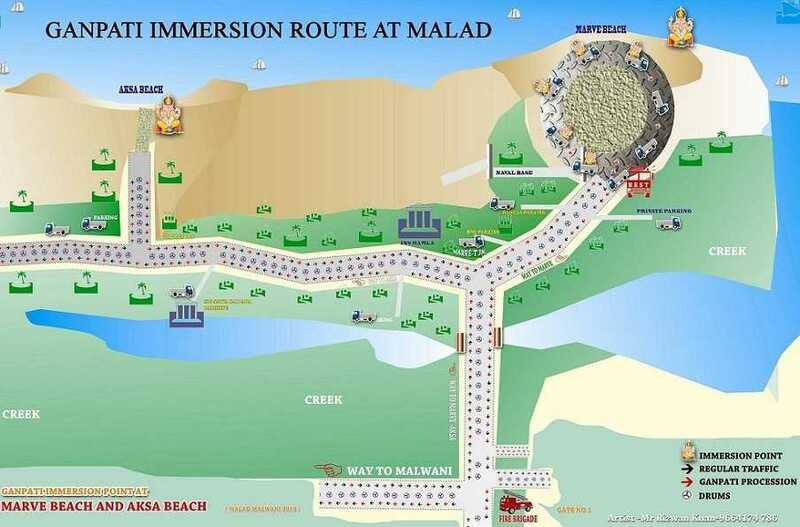 The main Ganpati Visarjan (Immersion) routes in Mumbai are listed below. Lalbaug Cha Raja Pandal to Chinchpokli Station (West): The Lalbaugcha Raja Ganesh Idol crosses under the Lalbaug Flyover and moves to Chichpokli Station Bridge (West). 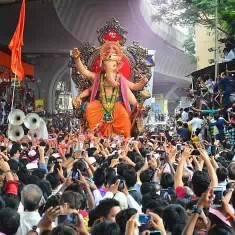 Chichpokli Station to Byculla Station (West): From Chinchpokli Railway Station Lalbaugcha Raja Ganpati moves along Delisle Road to Byculla Railway Station (West). Byculla Station to Nagpada Junction: From Byculla the procession moves to “Khada Parsi” junction and from there to Nagpada Junction (S Mohani Chowk) via Clare Road. 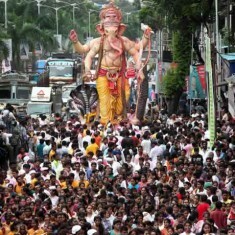 Nagpada Junction to Gol Deval: From Nagpada, Lalbagh Cha Raja’s Visarjan party moves to Gol Deval crossing Two Tanks on the way. 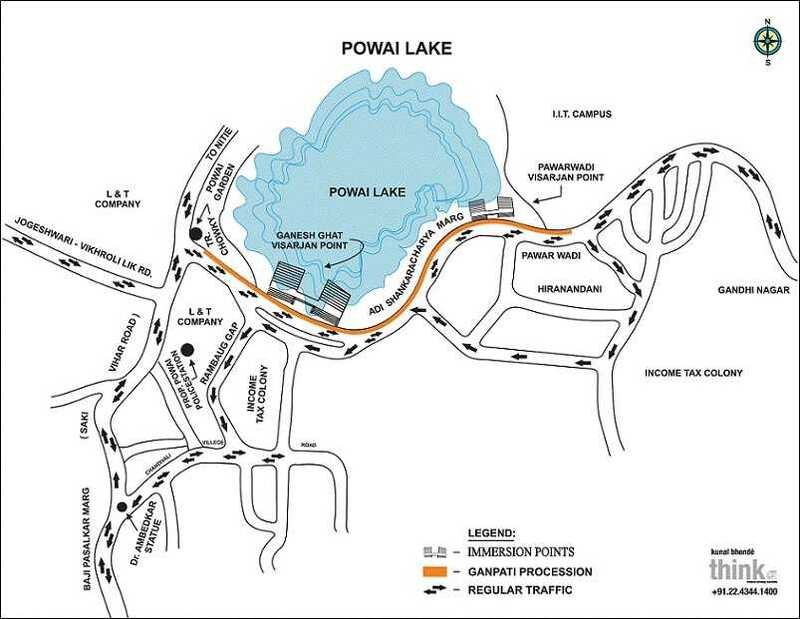 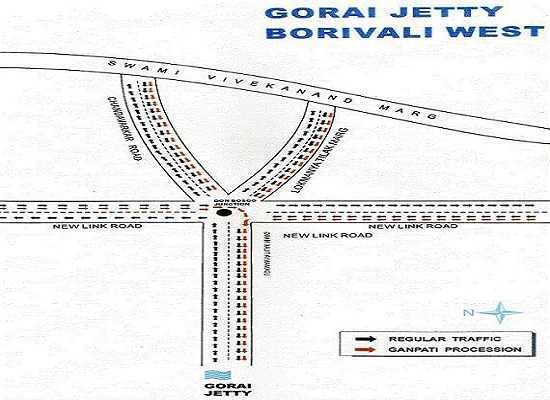 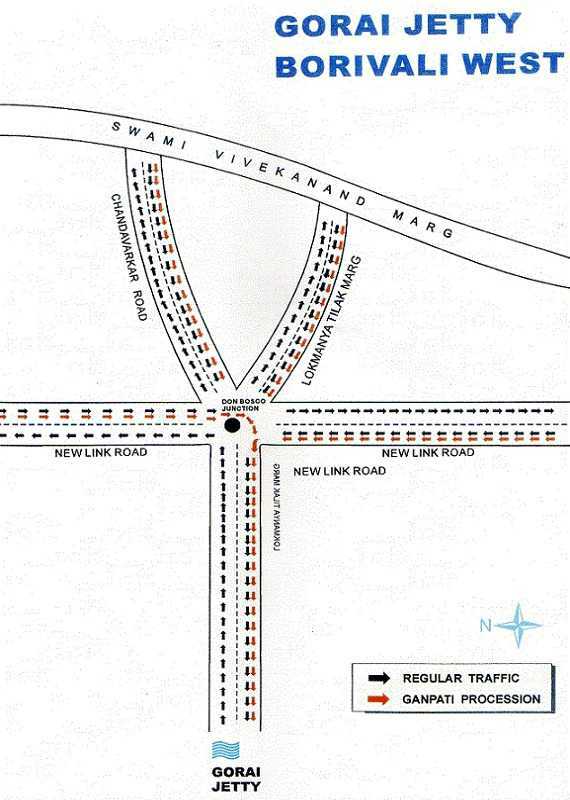 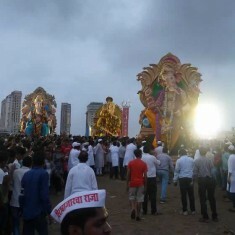 Gol Deval To Opera House Bridge: From Gol Deval, Lalbaug Cha Raja moves along Sardar Vallabhbhai Patel Road (SV Road) to CP Tank, Prarthana Samaj and Opera House Bridge (Warerkar Bridge). 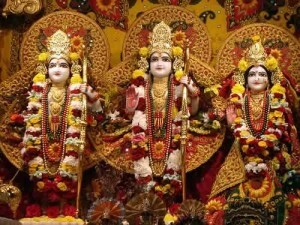 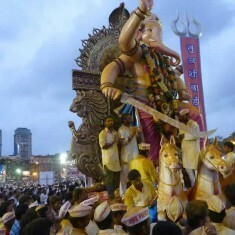 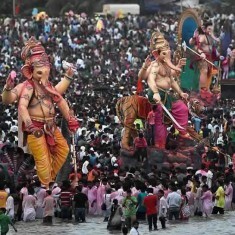 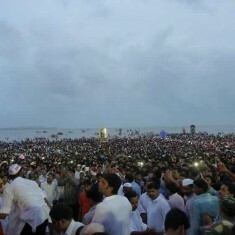 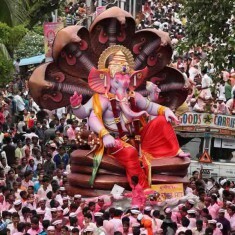 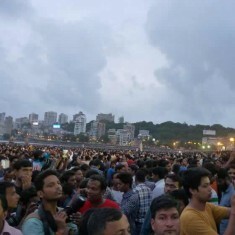 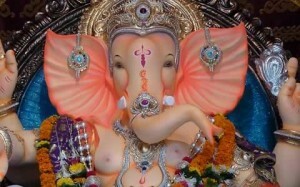 Lalbaug Cha Raja Ganesh Visarjan (Immersion) takes place at Girgaon Chowpatty. 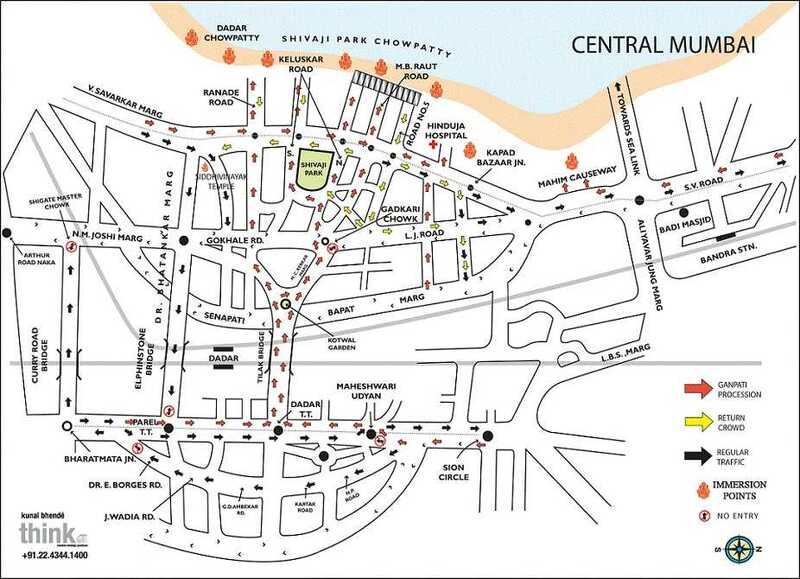 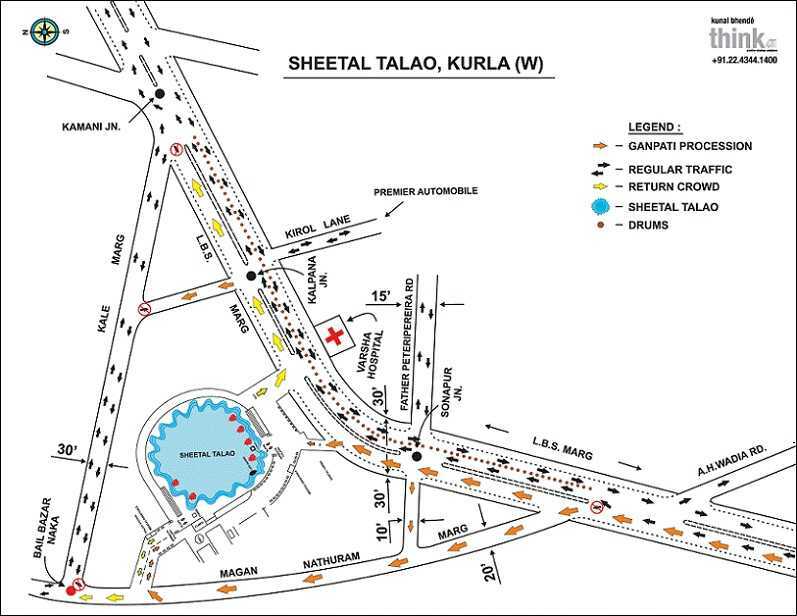 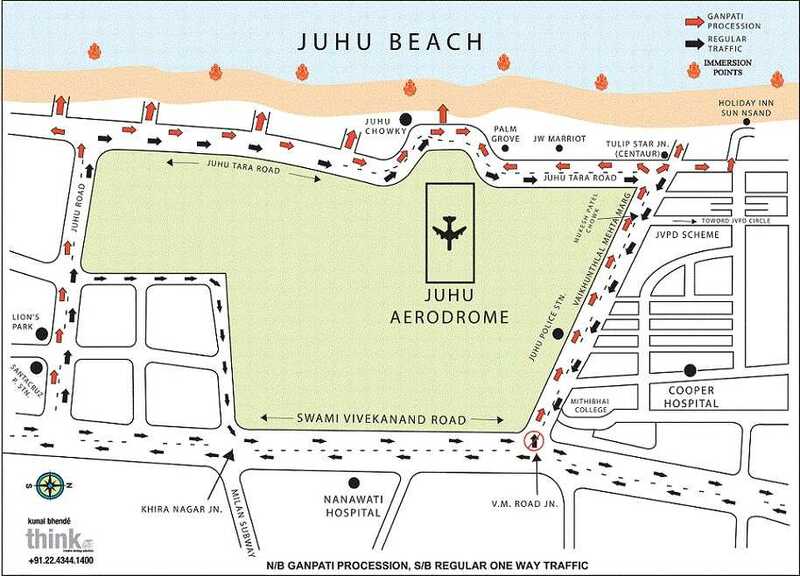 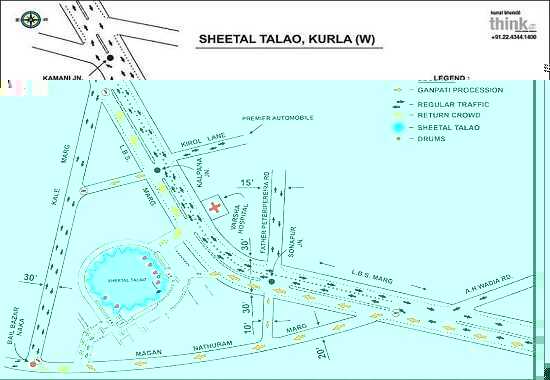 Note: Many of these maps have been taken from Mumbai Police website.